Marvel isn’t the only game in town. DC Comics and Warner Bros. launched a shared superhero universe in 2013, which fans call the “DC Extended Universe,” or DCEU. In the last five years, these comic book adaptations have explored new characters and realms. December’s AQUAMAN took us to Atlantis — and became the highest-grossing film in the series. DC’s best-performing characters aren’t even familiar faces like Superman and Batman. The DCEU is building new favorites like Aquaman and Harley Quinn. There’s a real appetite for DC’s more creative heroes. Before DC’s next hero, Shazam, arrives on April 5, we’re rewatching the entire series. Here’s our preferred DCEU viewing order. We’re going to watch in chronological order, so first up is WONDER WOMAN, set during the First World War. This adventure, directed by Patty Jenkins and starring Gal Gadot, is one of the strongest films in the franchise, so we’re kicking off the DCEU with a classic. 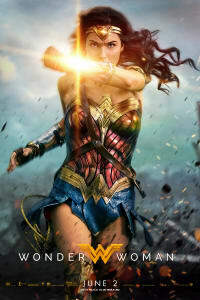 The film introduces Diana, a princess among the isolated race of warrior women known as the Amazons. She learns that the world of man has become consumed by war and leaves her island sanctuary in order to make a difference in human society. Fast forward to the present day, and MAN OF STEEL introduces the DCEU’s version of Superman. Zack Snyder, considered by many to be the godfather of the series, cast Henry Cavill as the namesake superhero. Snyder embraces the sci-fi side of the character’s origin story, spending more time on the planet of Krypton than any previous Superman movie. This is the story of how Superman becomes a reluctant hero — and how the world must decide whether to embrace him or reject him. Zack Snyder also directed the epic showdown BATMAN V SUPERMAN: DAWN OF JUSTICE. It’s the debut of Ben Affleck’s Batman and of Gal Gadot’s Wonder Woman. The dark and atmospheric story is beautiful and hard-hitting. It brings the Man of Steel and the Dark Knight into a head-on collision which is ultimately mediated (in part) by Wonder Woman. 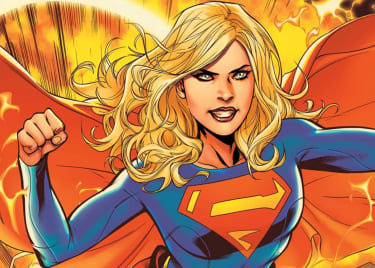 Diana withdrew from the world of men at some point after her World War I adventure — a decision that is, so far, unexplained — but the battle between DC’s titans reels her back in. Snyder ended this film on a cliffhanger, with Superman seemingly dead and a world in mourning at the loss of a hero. Set sometime after the death of Superman, David Ayer’s SUICIDE SQUAD is an action-packed drama in which Amanda Waller, played by Viola Davis, turns a group of hardened criminals into a black ops team. The breakout star is Margot Robbie, who earned popular and critical praise as the unpredictable, possibly insane Harley Quinn. (She’s set to return in BIRDS OF PREY and also voices the character in THE LEGO MOVIE 2.) While this is mostly a spinoff story, Ben Affleck does appear as Batman, to deal with Jared Leto’s boundary-pushing version of the Joker. The world has lost hope after the death of Superman, and a dark threat is approaching. Batman takes the unprecedented step of asking a group of metahumans to band together in order to protect the planet. 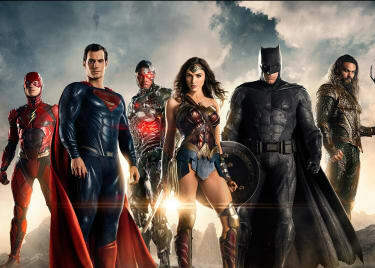 And so the Justice League is formed with the cooperation of Jason Momoa’s Aquaman, Ezra Miller’s Flash and Ray Fisher’s Cyborg, all of whom are properly introduced in this film. 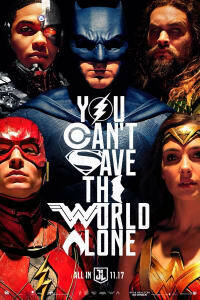 Initially directed by Zack Snyder but extensively reshot by Joss Whedon, JUSTICE LEAGUE is by turns gritty and funny. The latest chapter of the DCEU is the most successful to date. 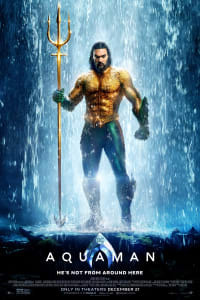 James Wan’s AQUAMAN stars Jason Momoa as a half-human, half-Atlantean who is desperate to stop a war between the forces of land and sea. This phenomenal hit has grossed more than $1 billion at the global box office and thoroughly redeemed a character who had been mocked more than once in popular culture. Momoa and Amber Heard shine as Aquaman and the Atlantean warrior Mera. Wan’s imagination glows in every frame, especially when the story dives below the surface of the ocean. Three more DCEU movies are slated for the next year. First up is SHAZAM!, which is expected to be set in the post-JUSTICE LEAGUE world. It stars Asher Angel as young Billy Batson, who is gifted the power to become the hero Shazam (Zachary Levi). 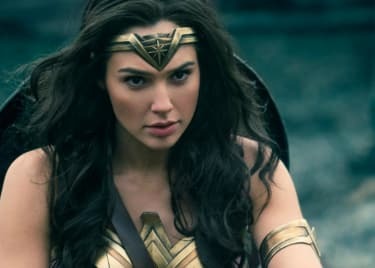 Then, in 2020, we’ll see WONDER WOMAN 1984, which may well explain why the Amazon heroine withdrew from the hero business in the years before BATMAN V SUPERMAN. And BIRDS OF PREY will bring Margot Robbie back to the big screen as Harley Quinn, with co-stars Jurnee Smollett-Bell as Black Canary, Mary Elizabeth Winstead as Huntress, Rosie Perez as Gotham detective Renee Montoya and Ewan McGregor as the villain Black Mask. Warner Bros. and DC have a wide range of other ideas in the works, and it will be exciting to see which ones wind up on the big screen. 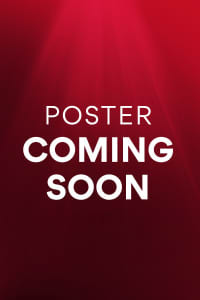 Check back with AMC soon for tickets to SHAZAM!